Well, home again, home again……. That’s the start of the post but I’m not sure which one to be called home. We took a few days off and headed to Townsend, Tennessee and we just got back to our home in Marion a few hours ago. I still struggle with which one is home. I love our little town of Marion. We have great family (though mine are further away than I wish), friends, and life here. Yes there are some struggles which started to pile up so we took our break to where we hide at times like this. However it’s also good to be back. Life picks up where we left it a few days back. We also love our little town of Townsend down in the Smokies. Jenni and I went there on our honeymoon and it has been like home to us ever since. I know some would tell us we go there too often (couple times a year) but it is our renewal. We have started to make some friends down there with a local church pastor and his family. I hope to grow those friendships more. 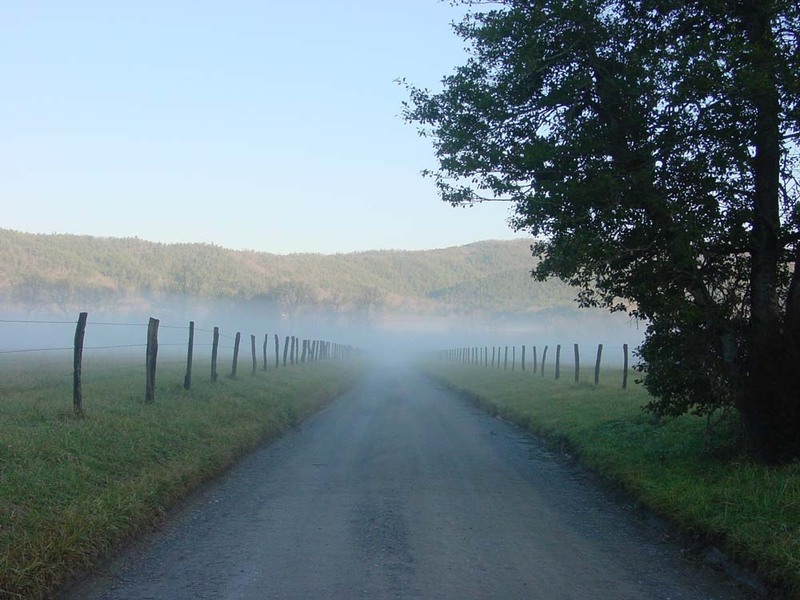 We love the creation baptism as we drive through Cades Cove. The closest to heaven I can find so far is sitting at the cabin with my family, watching a storm roll through into the valley. At the same time, I was ready to be home in Marion too. Pulling into our drive and coming into our home was a lovley feeling. I can’t quite describe it. I already miss my mountains, the porch, the scenary, and so much more but it’s still good to be in your home. God has been preparing me to go back into our lives…I pray I do not lose my footing. So I have two homes. Well more than two if I were to be honest. I call that pretty blessed, I guess. I did have a suckville moment in the Smokies. I woke up Thursday morning with a small pinch in my back. While obnoxious, it went away after a few hours. Friday, I woke with the same sensation. We headed out for a lovely drive for a few hours which was great. The feeling in my back when I got out of the car was not. It hurt like a mother! Absolutely the most pain I have felt in a LONG time. Well, after trying to be tough, the next morning I gave up and went to the ER (if you know me, I do not do doctors, let alone ERs). After a few hours, a couple xrays, and a little small town hospitality….they let me off the hook with some meds. (They wanted to do a MRI but no go on Saturdays in a small hospital) The meds have been great and I was back up and running Saturday night. If, in a few days, when the meds run out, the pain returns, then back to the docs for me. Prayers! Well, wherever I find myself, I have my God, my family, my friends, and my calling. Time to keep moving forward.